"...he can continue the fine record of novices in this with victory, the drop back in trip and the prospect of a strong pace big positives in his favour..."
Won at Fontwell in November and improved to finish second both starts since, in listed event at Newbury (half a length behind Global Citizen) and Betfair Exchange Trophy here (beaten two and a quarter lengths by Mohaayed). That looks strong form and likely to make his presence felt again. Successful in two novices in 2017/18 and improved when half-length third to Global Citizen in listed handicap at Newbury in December. Ridden more prominently when disappointing at Ascot latest and probably best not judged on that effort. Not one to write off just yet and has each-way claims here. Won novices at Plumpton in November and Exeter (by five lengths from Tedham) in December and improved again when two and a half lengths second to Champ in 2½m Challow Novices' Hurdle at Newbury last time. That form strong, and still open to improvement, so looks a leading contender. Unbeaten and progressive in three starts over hurdles, completing hat-trick at Cheltenham (by 11 lengths from Not That Fuisse) last time. 12 lb higher here but this race has been the target since, and has to be high on the shortlist for a yard that have won this race with similar types in the past. Lightly-raced nine-year-old who won final three starts in 2017/18 but has twice been turned over at prohibitive odds over hurdles this season, latest in seller last month. 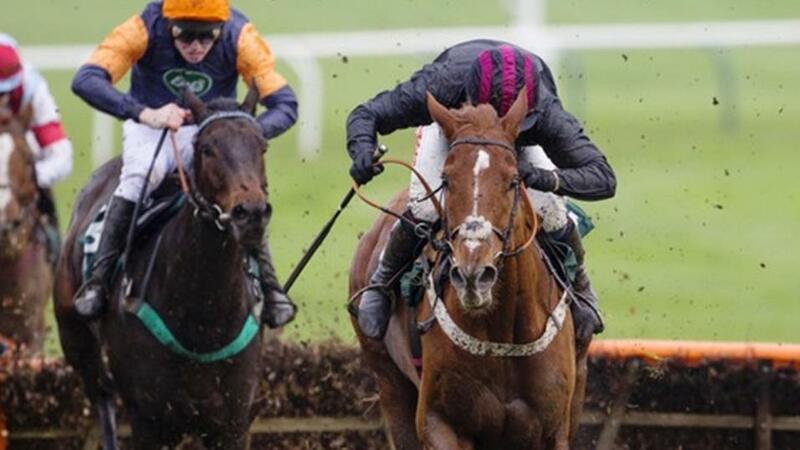 Has since left Paul Nicholls. C&D winner who produced lacklustre effort when fifth to Mister Fisher in novice at Kempton last time, but that form is proving very strong, and should be well suited by the demands of this race now handicapping (strong-travelling sort). Has to be of interest, though might prefer quicker ground. Improved to score at Wincanton in October and quickly dispelled Greatwood blip when adding to his tally on penultimate outing at Doncaster in December, forging clear. Needs to bounce back after rare below-par effort from 6 lb higher at Cheltenham last time, though. Won twice last term and produced good effort when second at Huntingdon on return. Well below form in 12-runner handicap at Kempton last time, though, and lots to prove now. Unexposed sort who couldn't follow up Chepstow win at Sandown, but soon back on track when winning similar event at Taunton (by length from Birds of Prey, travelling well and edging ahead run-in) last time. Opening BHA mark looks high enough, though, and further improvement needed. Improved since wind operation in the spring, winning handicaps at Hereford in November and Huntingdon (by length from Great Hall, staying on to lead approaching final 100 yards) last time. Up another 4 lb here, but clearly in good heart and shouldn't be underestimated. Acts on any ground. Not always straightforward on the Flat and similar comments apply in this sphere, wasting a good opportunity in novice at Ffos Las last time. Handicap mark looks high enough. Won handicap at Leicester in December, and progressed further when following up in C&D handicap (by half a length from Volpone Jelois) last time. Carries 5 lb penalty now but has reportedly been aimed at this race, and would be folly to ignore his claims given shrewd connections. Won three times in 2017/18, and bounced back to form when one and three quarter lengths second to Oakley at Kempton last time, splitting an unexposed pair. Just 1 lb higher than last winning mark. Good effort when seven lengths second to Man of Plenty in listed handicap at Sandown in December, but well-beaten sixth to Benny's Bridge in handicap at Cheltenham last time. Up against it here. GETAWAY TRUMP took another step forward when second to the highly-exciting Champ in the Challow last time, cruising into contention in a steadily-run contest, and he can continue the fine record of novices in this with victory, the drop back in trip and the prospect of a strong pace big positives in his favour. Al Dancer and Didtheyleaveuoutto head up the dangers.